Cho Kuk, senior presidential secretary for civil affairs, is set to answer questions from lawmakers about a case involving a former investigator under his supervision, among other issues, in his first official appearance at the National Assembly on Monday. Rival parties agreed to put Cho on the stand at the meeting of the Steering Committee of the National Assembly. Cho has come under fire due to Kim Tae-woo, whom he had supervised while the latter was part of the Cheong Wa Dae special inspection team. After a monthlong review, an internal inspection board at the Supreme Prosecutors’ Office on Thursday called for the dismissal of Kim, who is on the SPO’s payroll, for misconduct during his time at the presidential office. Prosecutors said that a building contractor surnamed Choi treated Kim to 4.38 million won ($3,920) worth of entertainment, such as free golf games on 12 occasions between May and October. Kim also leaked to the press intelligence that he gathered while working at the presidential office -- such as information that Korean Ambassador to Russia Woo Yoon-keun took bribes from a businessman -- and that constitutes a violation of rules on confidentiality, prosecutors said. Kim, who has worked under the Cheong Wa Dae special inspection team three times under the administrations of Lee Myung-bak, Park Geun-hye and Moon Jae-in, has claimed that he played golf as part of efforts to collect information on the misconduct of government officials. Prosecutors also found that between May and June last year, Kim asked Choi to help him get dispatched to the special inspection team at the presidential office. Choi told prosecutors that he sent Kim’s profile to a civilian after receiving Kim’s request. Choi went to the same high school as Cho Kuk, who oversees the special inspection team. Prosecutors, however, did not scrutinize the civilian who allegedly received Kim’s profile, saying that person was not someone influential. Therefore, it has not been confirmed whether the request to put Kim on the Cheong Wa Dae team was delivered. Prosecutors also found that Kim made the minister of science and ICT set up a new position for an inspector at the ministry by providing the minister with information on the misconduct of his chief secretary, and almost got himself hired. 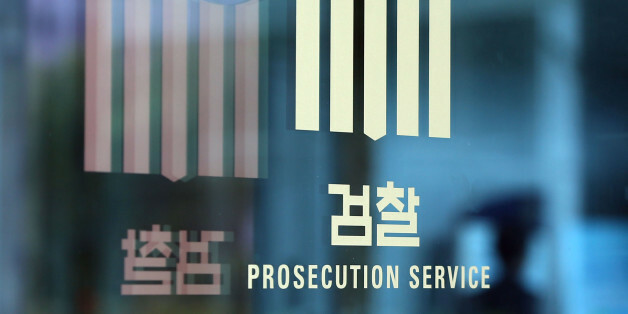 The SPO inspection board, however, decided not to pursue a criminal investigation against Kim, who is already facing prosecutorial investigation triggered by a complaint from the presidential office. Kim has been under scrutiny over suspicions that he leaked to the local media classified information that he collected while working as a special inspector at Cheong Wa Dae between July last year and November this year. The disciplinary board of the Seoul High Prosecutors’ Office will make the final decision on Kim. The case involving Kim gained attention in the media after he sought to pull strings to intervene in a police investigation on bribery allegations against Choi. Kim was then removed from the Cheong Wa Dae post last month and sent back to the Supreme Prosecutors’ Office, from which he had been dispatched, for allegedly violating regulations.